Film Green Bay has brought you the Green Bay Film Festival for 6 years running! Now in it's 7th year, it brings educational opportunities to young filmmakers and seminars for all ages. Your support enables Film Green Bay to continue to grow our three core programs FGB Education, Festival Around Town, and the Green Bay Film Festival. 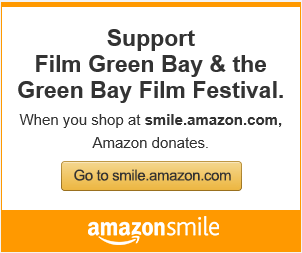 Film Green Bay, Inc is a 501(c)(3) non-profit arts organization. Contributions may be tax deductible for the full amount of the donation less the value of any goods or services provided.